recycled plastic and all the bottles are entirely recyclable! I received the Rose Water set* which I was very excited about as I love the scent of rose not to mention the delicate pink packaging really goes with my Instagram aesthetic - always got to be considered!The Rose Water Collection is aimed at soothing sensitive and dry skin types. Their rose floral water originates from Bulgaria and is harvested between the months of May and June to ensure the very best crop. This calming elixir is obtained by steam distillation of Rosa Damascena petals to preserve the goodness and skin-soothing properties of the flower. The soothing botanical moisturiser is enriched with shea butter, vegetal glycerin and coconut oil, this moisturiser sooths dry, sensitive skin. Cleanser | Starting off the trio with have this Cleansing Milk which is really light in texture and doesn't leave behind a residue. I cannot tell you how divine the fragrance is that runs through all three of these products! I simply can't get enough of the beautiful Rose scent. I have tried using this product to remove both light and heavy make and found it very effective. You can either apply it to a cotton pad and wipe it over your skin, which I'd advise if you're using it to remove make up. Or you can just rub it into your skin with your fingers and rinse off - I do this on my no make up days! 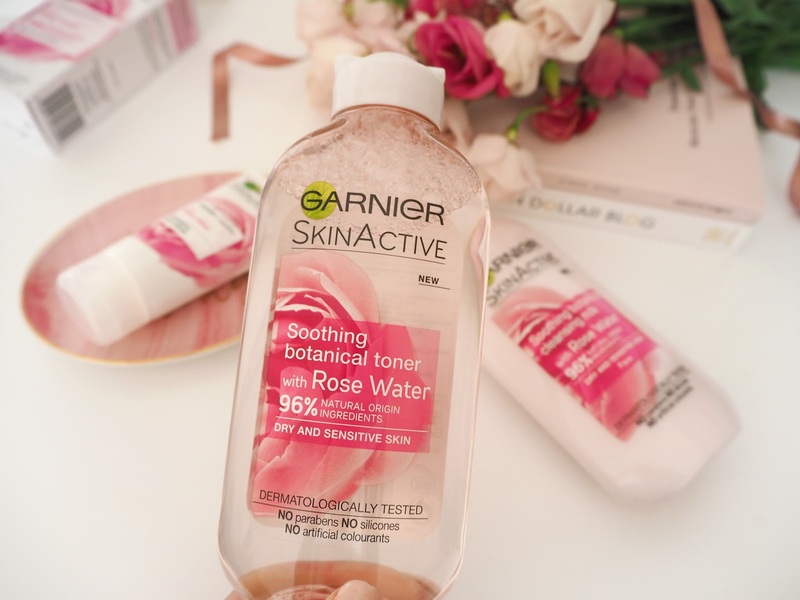 Toner | This toner is a bit of a revelation for me as I never knew a toner could actually be moisturising! But this one absolutely is. Most toners are quite stripping and leave my skin desperate for me to apply my moisturiser. However this one feels nourishing and conditioning, leaving it feel comfortable after I've applied it, just as normal with a cotton pad. A little goes a long way with this one as well and I think that's done to how moisturising it is. Moisturiser | This is a such lovely moisturiser. I've been opting to use this at nighttime. Not only do I find the fragrance really relaxing before I go to bed but it is ultra moisturising which is just what you want to have soaking into your skin over night! Overall I have got on really well with these products, they're really calming and soothing and did I mention the incredible fragrance?! I will definitely be repurchasing when I run out, particularly the Rose Water Toner. I'm also considering trying out the Green Tea or Aloe Vera version of the moisturiser which I'm thinking might be good for morning use. 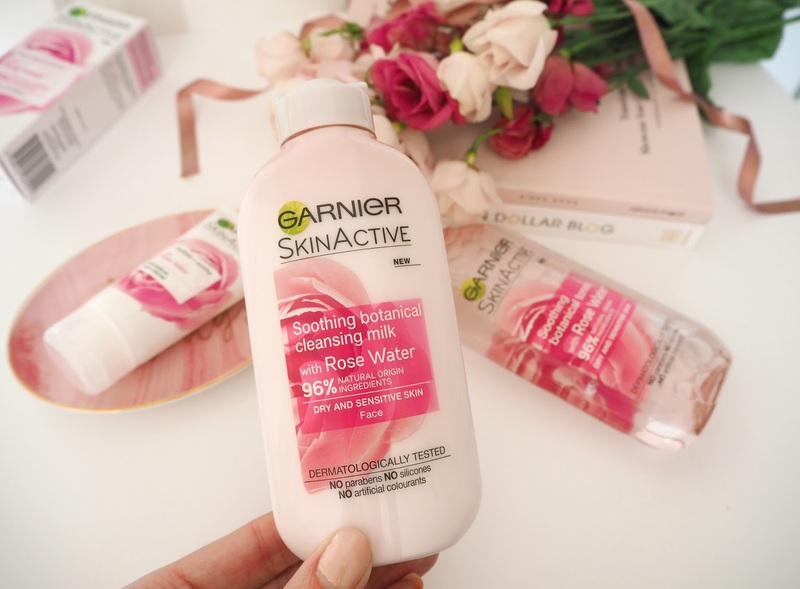 The Skin Active Range is available at Boots and all products are very reasonably priced at under £6! 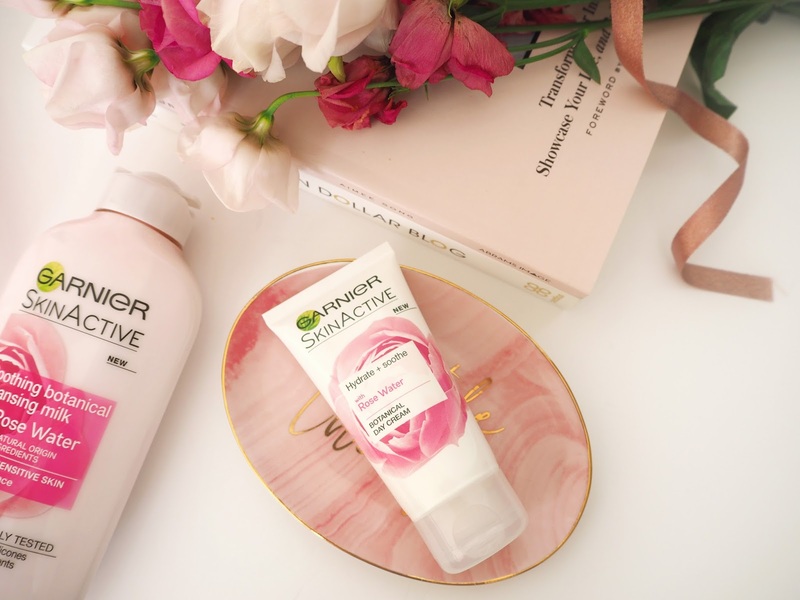 Let me know if you have tried any of Garnier's Skin Active products yet! What are your favourite skincare products/brands t use? Oooe this range looks amazing!! I am definitely keeping my eyes open for this! Hahaha, I love getting the opportunity to review things that luckily fit my insta aesthetic - makes it even better! 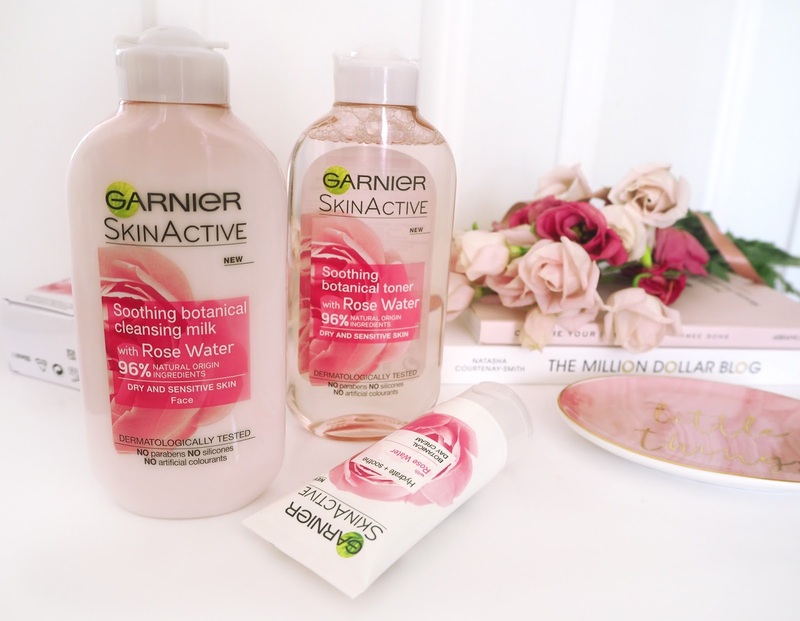 these sound so good, I love Garnier skincare so I bet I'll love these! Haha definitely!! It's little things like that that really please me! Love the sound of this! The rose scent appeals to me so much, deffo going to have a sniff the next time I'm in Boots!